Schedule a half-day workshop for Board members and your staff! You will learn about Theory of Change - a dynamic, inclusive and provoking way of communicating to stakeholders how your organization makes a difference. To sign up contact us at info@thestrategygrp.org or 913-963-1345. More Info: Contact Bill Moore at The Strategy Group for more information or to schedule this workshop. 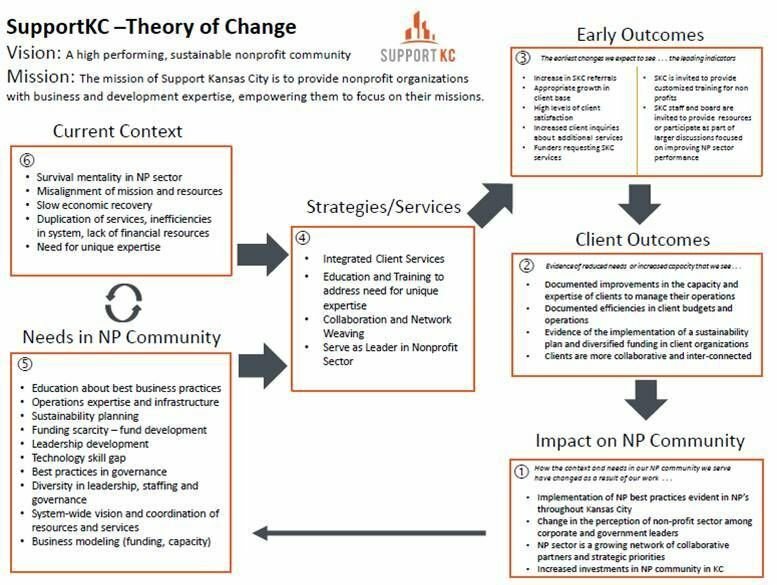 According to noted theory of change expert, Andrea Anderson, "A theory of change can be a helpful tool for developing solutions to complex social problems. At its most basic, a theory of change explains how a group of early and intermediate accomplishments sets the stage for producing long-range results. A more complete theory of change articulates the assumptions about the process through which change will occur, and specifies the ways in which all of the required early and intermediate outcomes related to achieving the desired long-term change will be brought about." This workshop will take participants through the process of developing a theory of change and the diversity of creative ways an organization or community initiative can share their vision for how change can and will happen. This road map is essential when tackling the most pressing social and community problems. 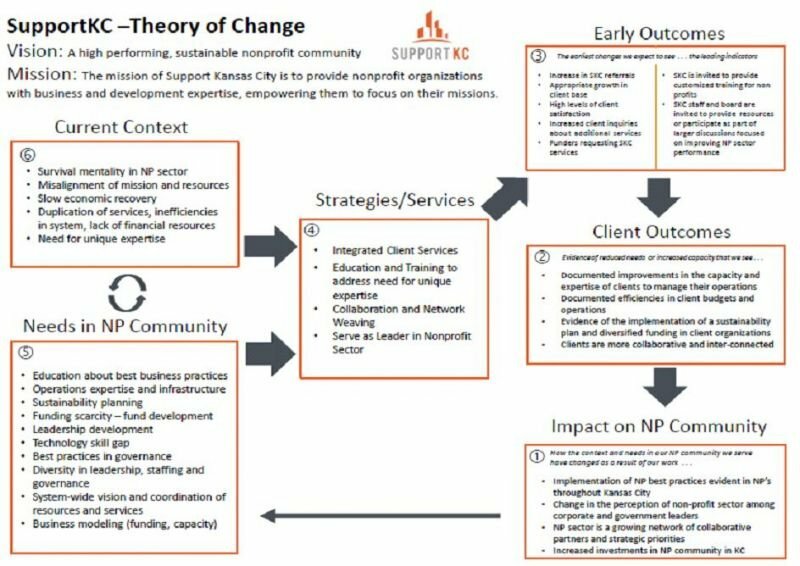 Join William Moore or Andrea Anderson, accomplished theory of change trainers to learn and apply theory of change to your work. Contact us at info@thestrategygrp.org or 913-963-1345.